Erin and Leah are working with a women’s organization to process milk. 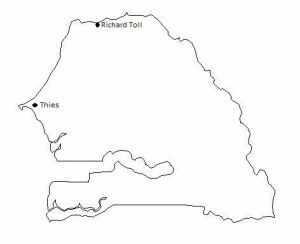 They are located near Richard Toll which is across the Senegal River from Mauritania. They jointly wrote the following description of some of their experiences. 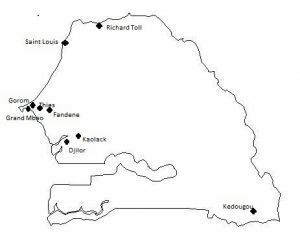 Five students have service assignments in, or near, Saint-Louis located at the mouth of the Senegal River on the border with Mauritania. 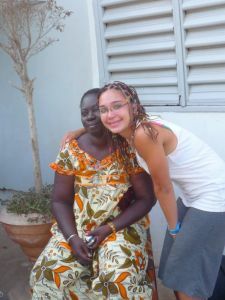 Adrienne, Mallori, and Jon work with a church organization providing educational assistance to women. Molly and Paul work with a government supervised agricultural project connected to the University. Excerpts from their recent journal entries give some insight into their experiences. 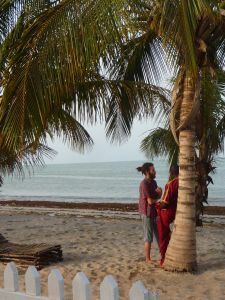 Here are several random pictures, taken during the first six weeks, that did not make it into earlier postings. 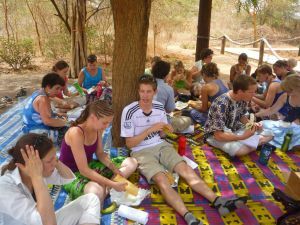 Through many shared experiences our group developed close bonds with each other and with our hosts. One assignment during the past six weeks was for students to work singly or in pairs and interview a small business owner. Students were to find out how the person learned their skill or how they got started in their business. 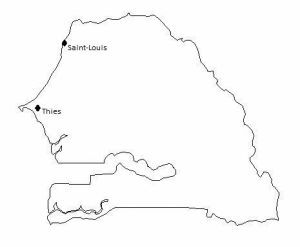 On Saturday, 12 June, students departed Thiès for service assignments scattered throughout the country. There was excitement and nervousness in the air as good-byes were said. Some farewells with host family members were difficult and emotional. Manufactures Sénégalaises des Arts Décoratifs, located in Thiès, was one of the artistic centers inspired by President Senghor in the 1960’s. 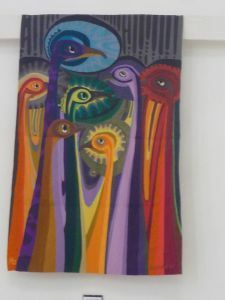 Designs for the brightly colored tapestries are chosen from paintings submitted by Senegalese and other African artists. Joal was the boyhood home of Senegal’s first president and poet Léopold Sédar Senghor. 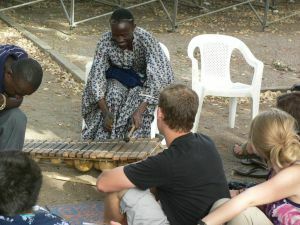 During our stay in Joal we visited the Senghor home and museum where a guide told us about his life and contributions.